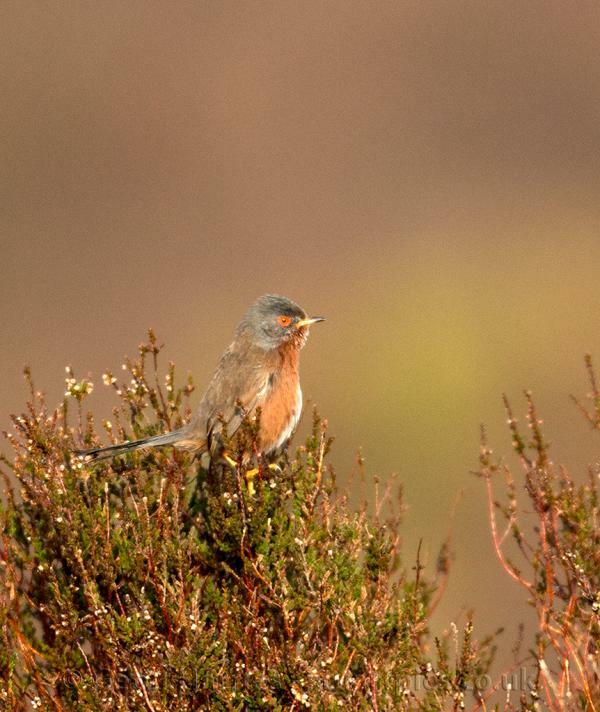 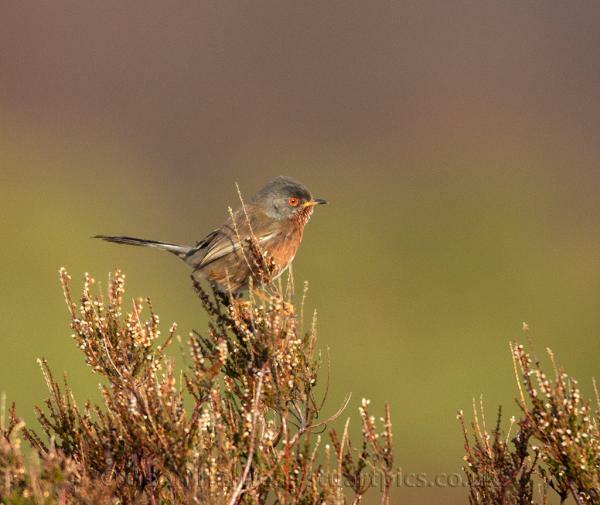 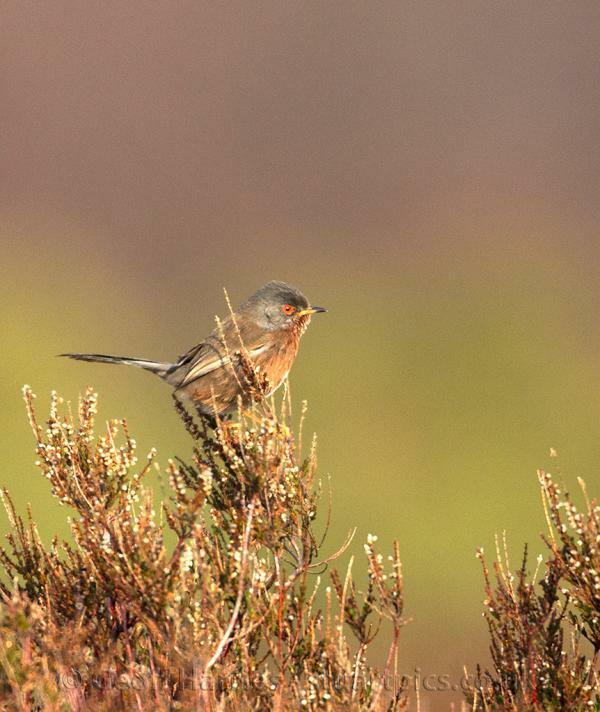 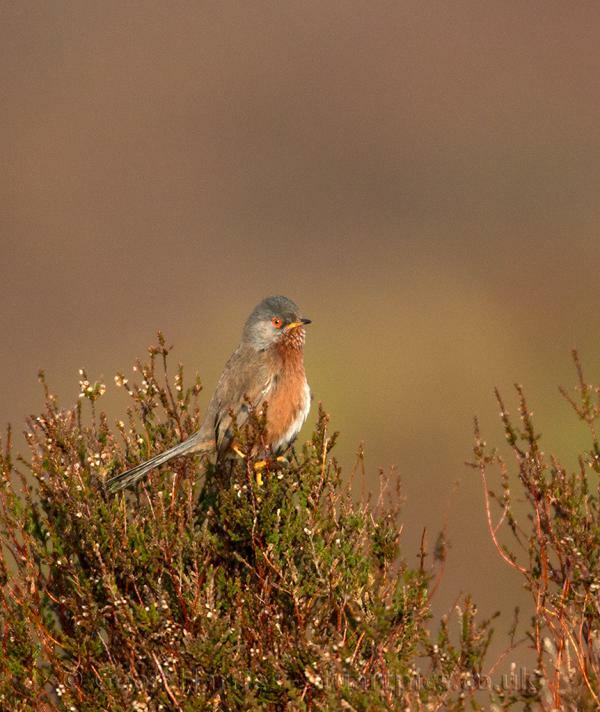 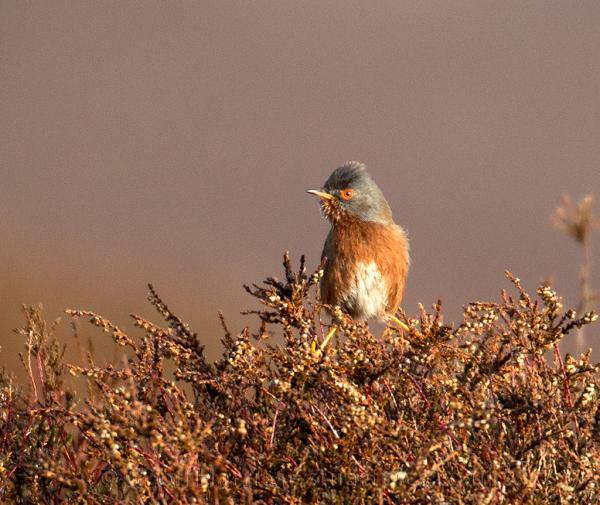 It was last Saturday morning when I had my first sighting of a Dartford Warbler on heath land near the Suffolk coast. 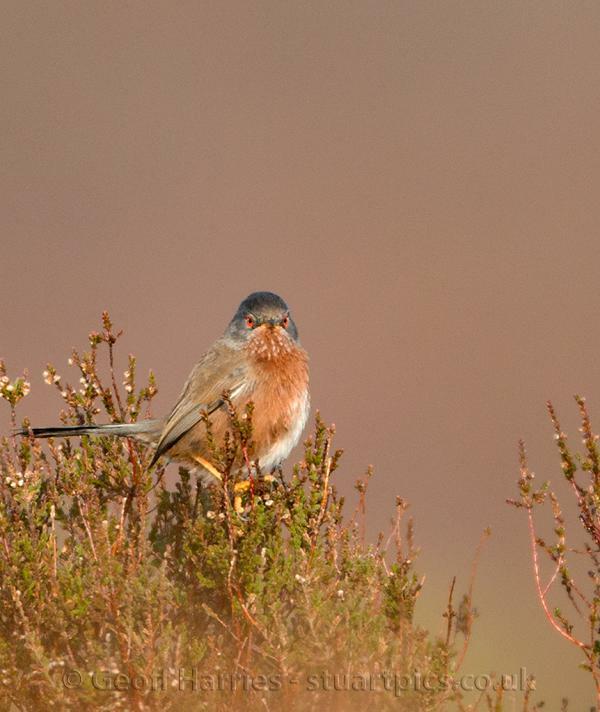 The bird perched on top of heather in the early morning sunlight close enough to get some good images. 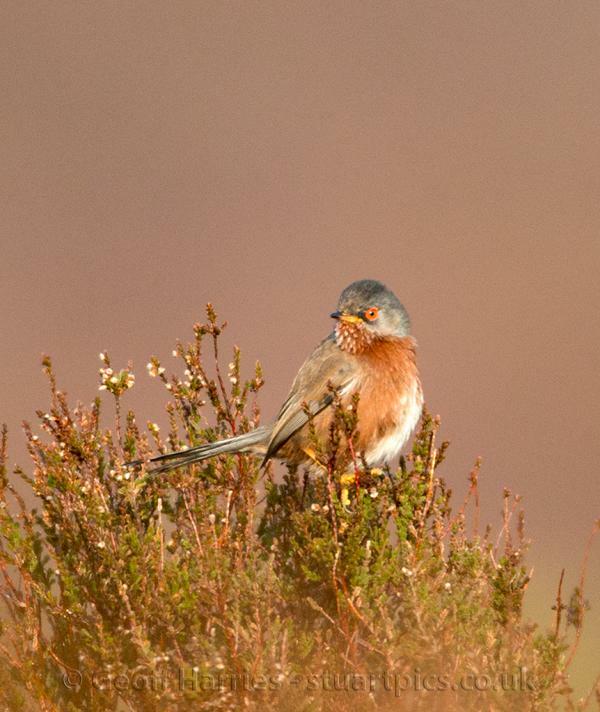 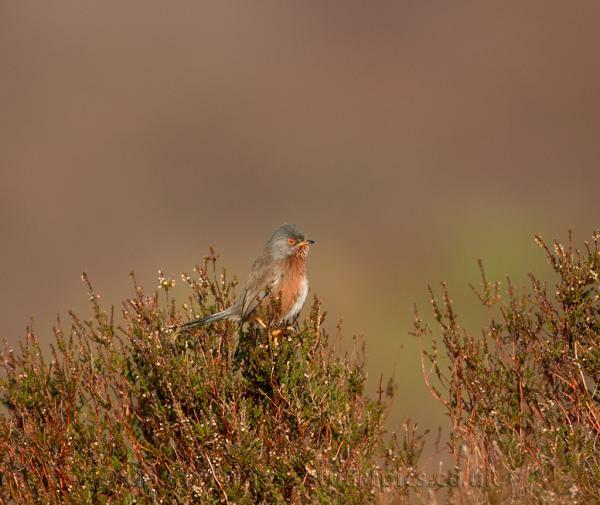 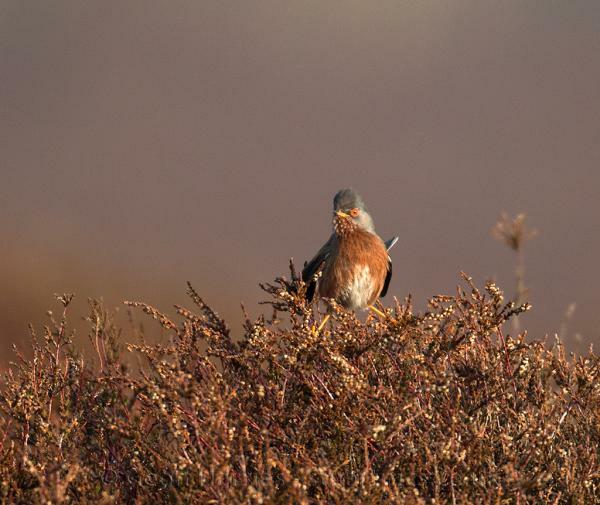 Its name comes from Dartford Heath in Kent, but it is found in a number of locations throughout Europe. 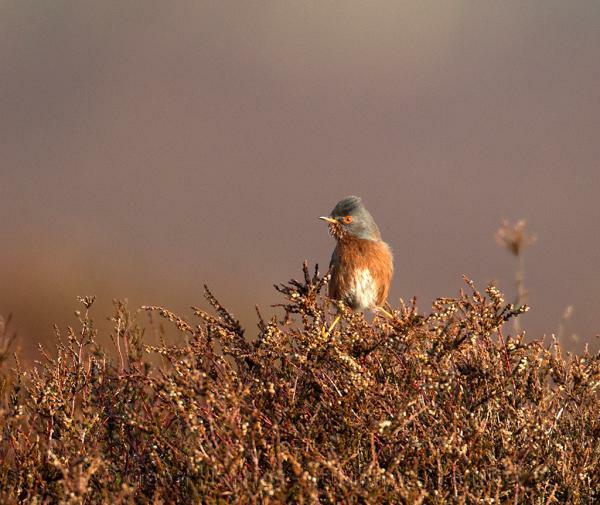 The population in the UK fell to only 10 pairs after the severe winters of 1962/63 numbers have been steadily increasing, but is still classified as “Near threatened “ They stay and breed in the UK nesting in areas covered by heather and gorse bushes, their survival depends on the availability of these protected heath lands.